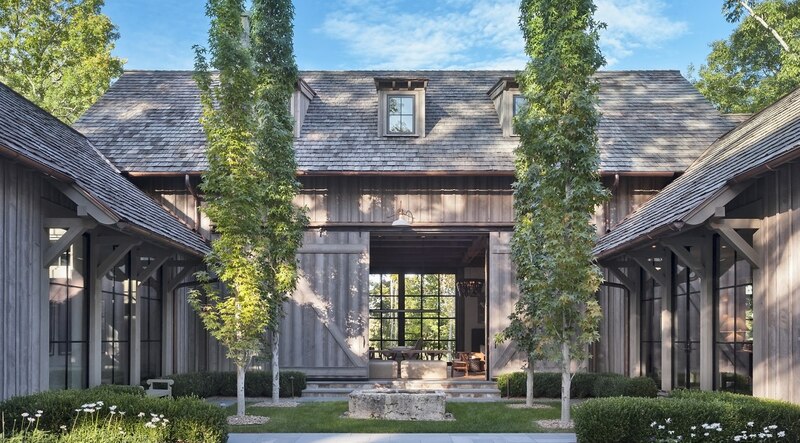 The collaboration of landscape architecture, architecture, and interior design forms a cohesive and convincing story of a rustic, southern barn that has been adapted to accommodate an active family in the mountains of North Carolina. Vernacular examples from the region inspire the forms and material palette of this new “old” structure. 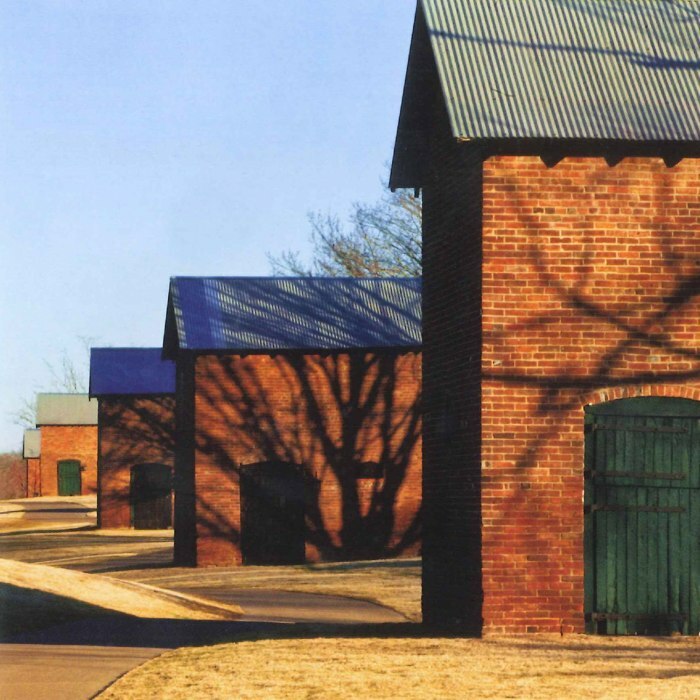 The restraint of the exterior materials to board and batten is in keeping with these vernacular examples, and this allows for the strong lines of the barn to become immediately legible. Equal restraint was exercised in the selection of interior finishes. Plaster walls infill reclaimed timber framing, and rough wood flooring is occasionally interrupted by Bluestone in high traffic areas. The rough textures of antique wood and leathered stone are a pleasant foil to the crisp white plaster. Carefully selected art, furnishing, and textiles further soften the aesthetic and bring warmth and scale to the gracious rooms in a fresh and minimal way. 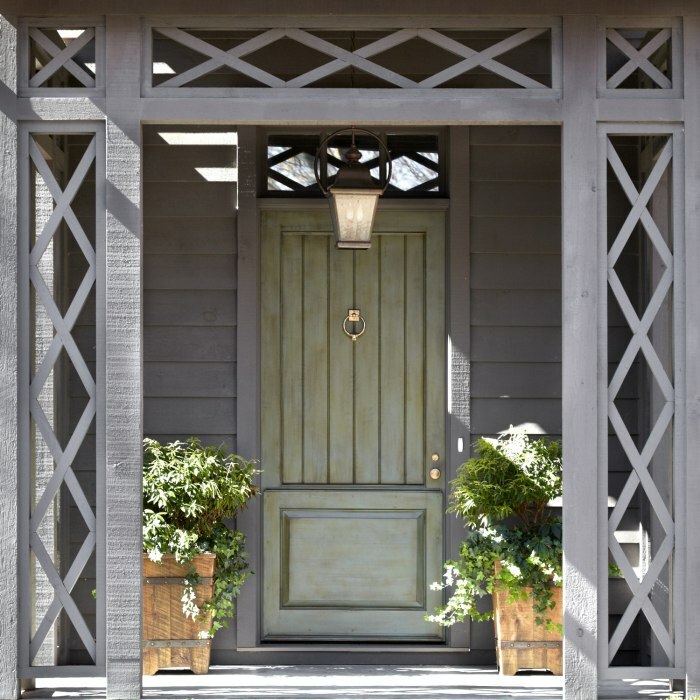 The transformation of this 1940s Colonial ranch into a charming Dutch Colonial cottage required major modifications to the floor plan, exterior façade, and roof, as wells as the addition of a new pool house. The result is a classic, timeless aesthetic with a comfortable, charming presence. The interior maintains a refined level of restraint and the alterations to the plan and structure of the house boasts all new interior finishes and details. 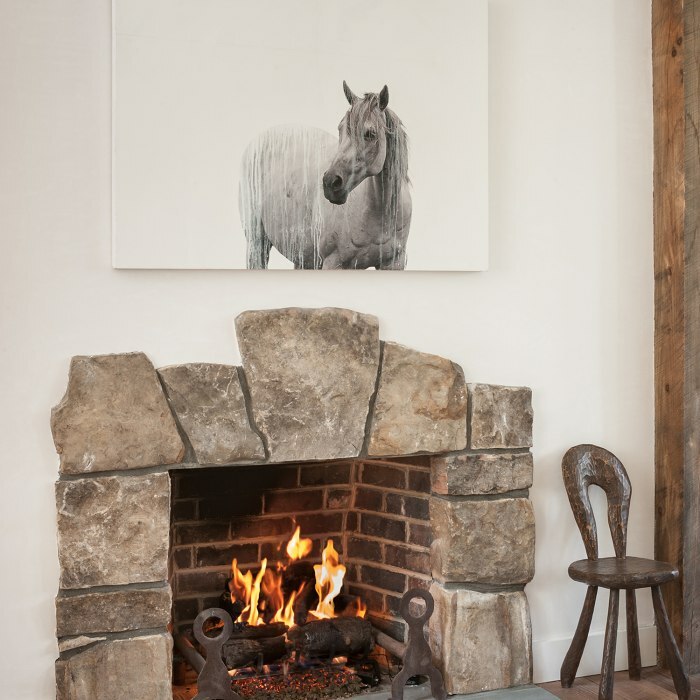 Many of the wood finishes found throughout the interior were carefully selected and milled from the homeowner’s farm south of Atlanta, giving the house an authentic sense of place. The client’s memories of childhood winters spent on the coast of Florida led to the purchase of a modest wood frame house on a breathtaking two and a half acre site. 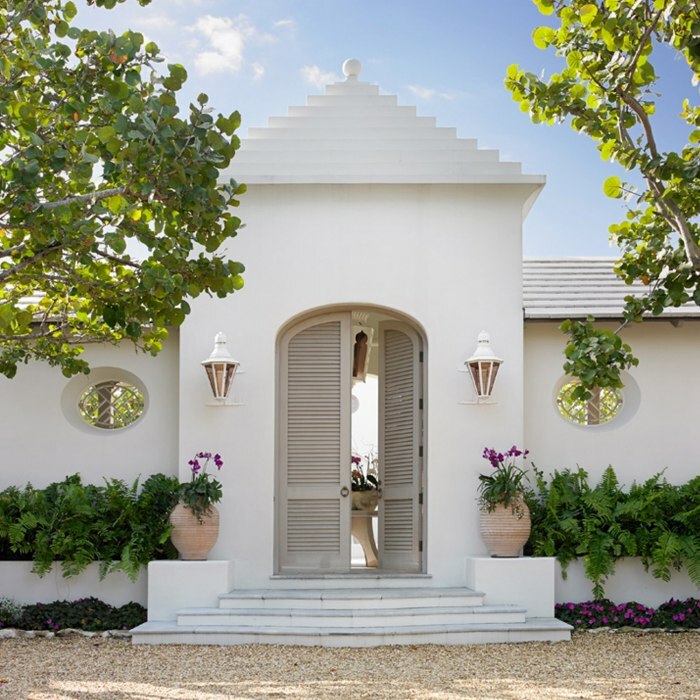 The new design, based on traditional building forms of Bermuda, was guided by the original low rambling structure with hip roofs and the client’s desire for an understated house. Timeless principles will allow this family home to be enjoyed for generations. It deploys proportion, hierarchy, and decorum in all of its parts; and it is based in a rich, ongoing history of Palladianism that’s lineage began in the 16th century. The client’s desire for a modern home that accommodates the necessities and expectations we have for living while maintaining a period presence means that this house is environmentally responsible, technologically advanced, and delightful in all of its details. 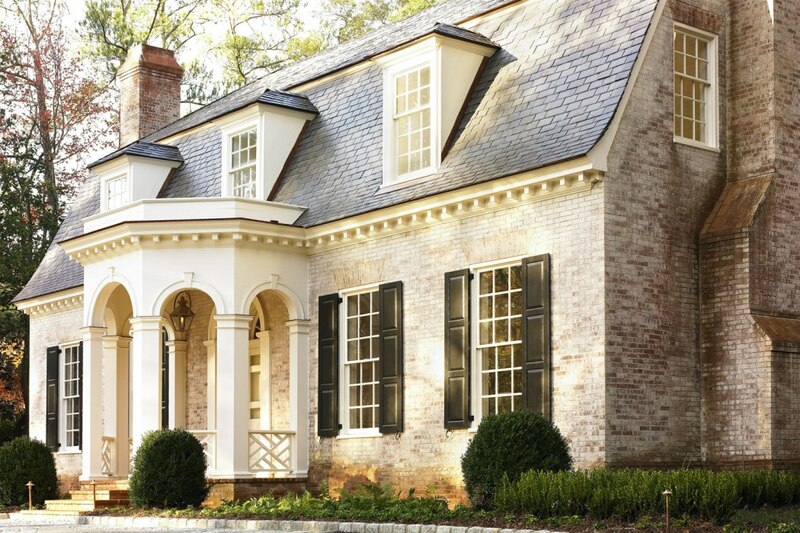 This new French and Belgian inspired home is situated on a well-established street in Atlanta. The scale and proportion of the façade, along with the weathered exterior materials, give the impression that this house has always been a member of the eclectic revival styles that neighbor it. The house’s simply detailed interior wraps around a central courtyard filling its interior with light and creating an axial view that is apparent from the front entrance. The renovations and additions to this residence, which was designed by James Means in 1970, invigorate the home while maintaining the original integrity and style. A gracefully proportioned new front portico provides dimension to the façade, the roof was changed to slate, and the brick was lime washed to blend the old with the new. The locations of the original interior spaces were left intact, yet all new mouldings and architectural detailing were added. The new paneled library is often mistaken for an eighteenth-century room. Additional rooms added to the house flow seamlessly and maintain the character of early American architecture. 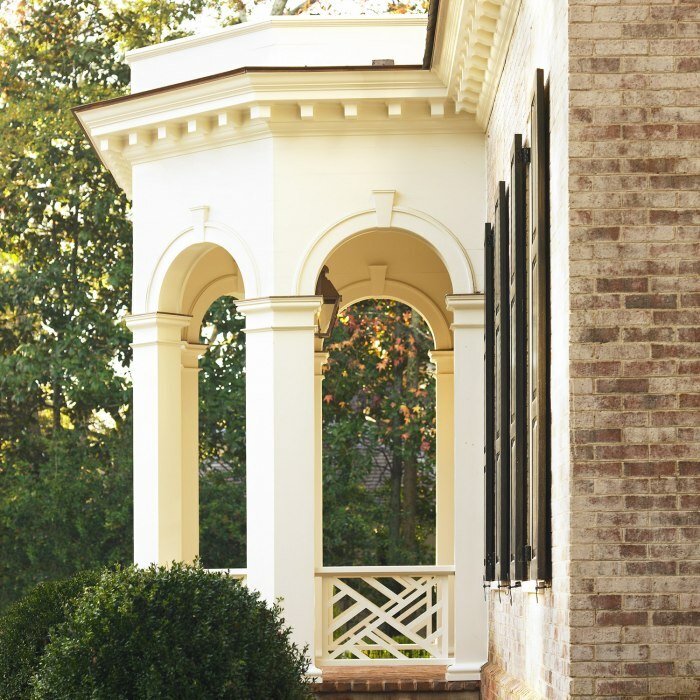 Nestled in a canopy of hardwoods, this pavilion in Buckhead provides respite and becomes a focal point for the gardens, pool, and views from the house. 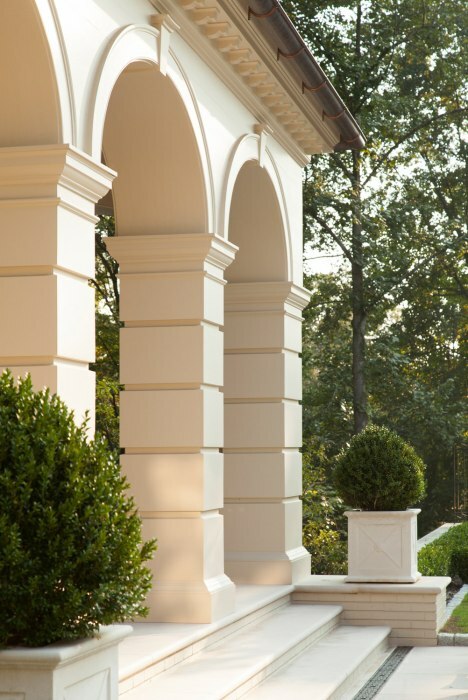 Although the structure relaxes the formality of the existing home by emphasizing outdoor living and entertaining, it maintains a relationship to the house’s classical elements. Imagined as a folly, the pavilion is perched at the edge of the property where the land falls away and the tree line descends. Rusticated piers support an elliptical arcade that opens to an endless view of the rambling foothills. The pavilion is significant both as an object to be viewed as well as for the pleasure it provides when occupied. In 2010, a devastating fire destroyed The River Course Clubhouse, which was an essential component of life on Kiawah Island. 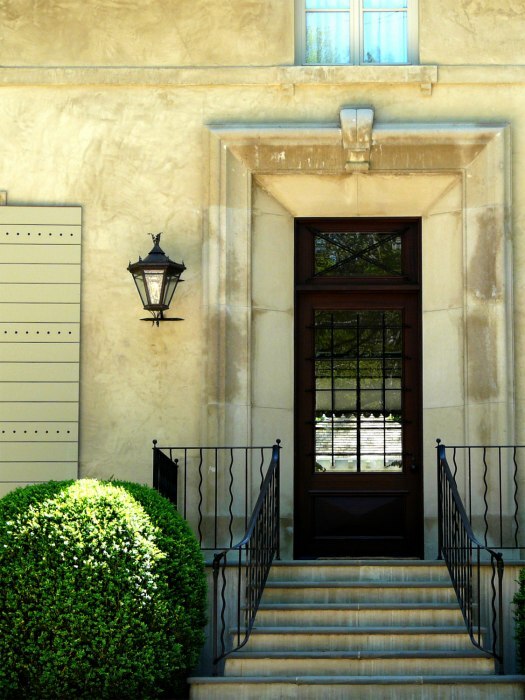 Rebuilding the club on its original foundation provided the opportunity to update the necessities for modern living as well as the interior architecture, detailing, and furnishings. 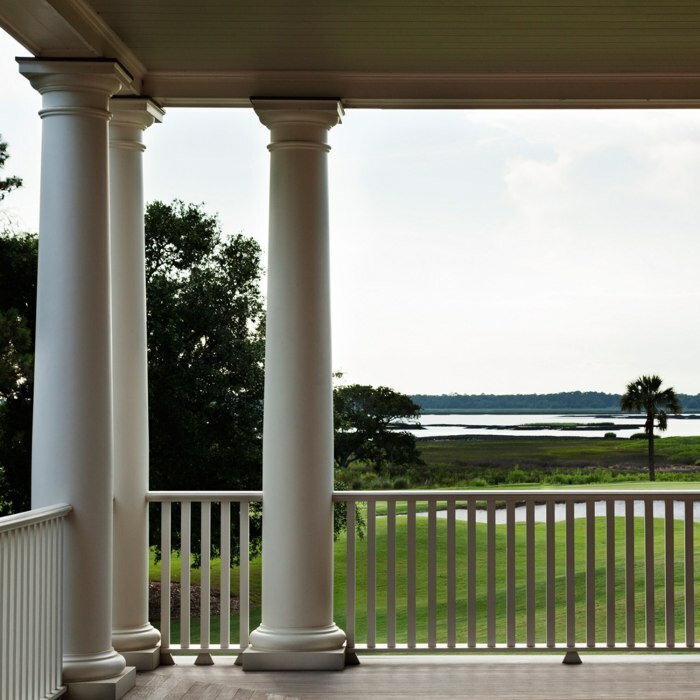 The clubhouse design refers to the architecture and materials of the Carolina low country. Reclaimed cypress, stone, and tabby plaster were used along with soft colors inspired by pluff mud, marsh grasses, and oyster shells. The result is a traditional interior visually connected to the native landscape. Sited on a small lot between the Atlantic Ocean to its east and a lush, well-manicured golf course to the west, this house was designed to take full advantage of its expansive views. Carved Leuders limestone, coquina paving, pecky cypress, and plaster walls express the regional influences. 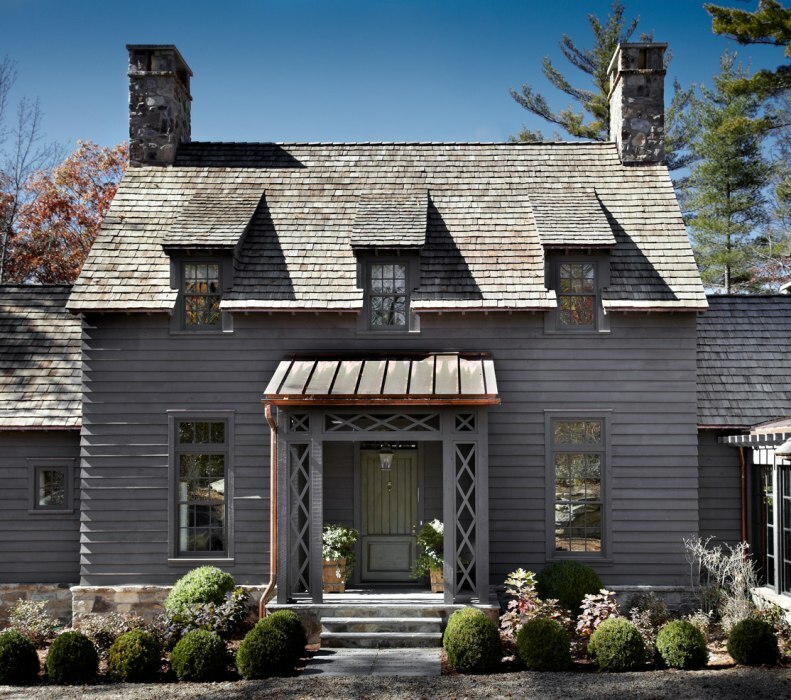 The detailed limestone relief on the house is set in contrast to the reclaimed terra cotta roof with exposed mortar, which together present a rustic texture and casual appearance. 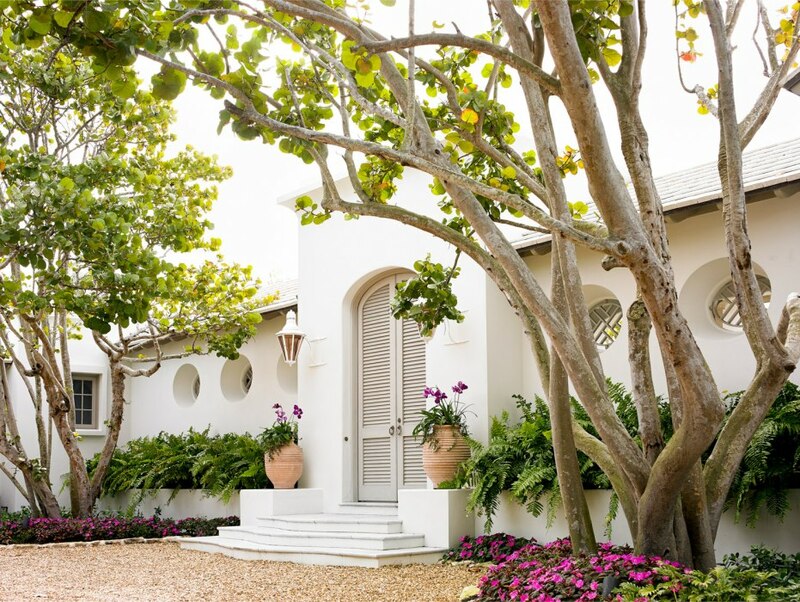 Mediterranean Revival precedents also played a large part in the architectural articulation of the house and the inlay details in the rear loggia are a nod to the early-twentieth-century work of Addison Mizner. The balance of delicate refinement with vernacular elements responds specifically to this place. This new stone house is beautifully sited within wooded surroundings and was designed for a young family with deep Southern roots. 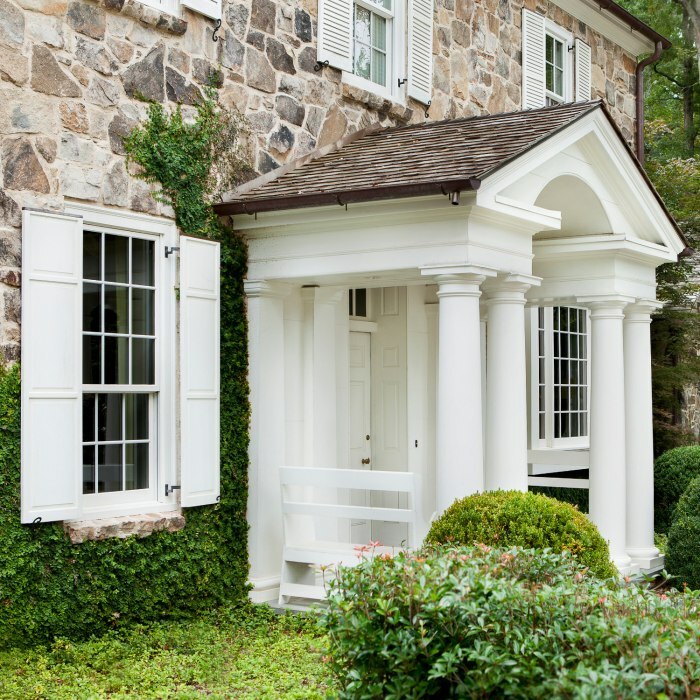 It was the intention of the architect and the client to emulate pre-revolutionary homes found in and around Pennsylvania’s Bucks County and Brandywine Valley. The end result is a home that has an enduring presence while accommodating the lifestyle of a modern day family. Cashiers, North Carolina’s cooler temperatures and long views offer a restful place for an Atlanta-based family to unwind. The clients wanted something appropriate to the setting that was not a typical mountain cabin. 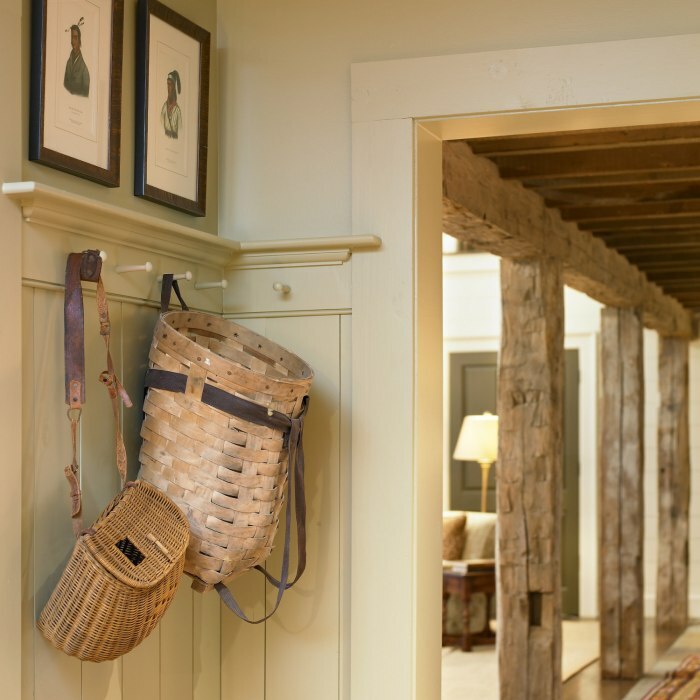 Materials were sourced based on what would have been available to cabin builders of this period and give the home an enduring generational presence. The unexpected dark color allows the house to recede into the landscape. Large steel doors add a touch of modernity while creating a transition from the cozy interiors to the crisp mountain air. Thoughtful editing and restraint defines the home as modern yet classic, refined yet rustic. These sensibilities coalesce and recede allowing the family to take in the Blue Ridge panorama. 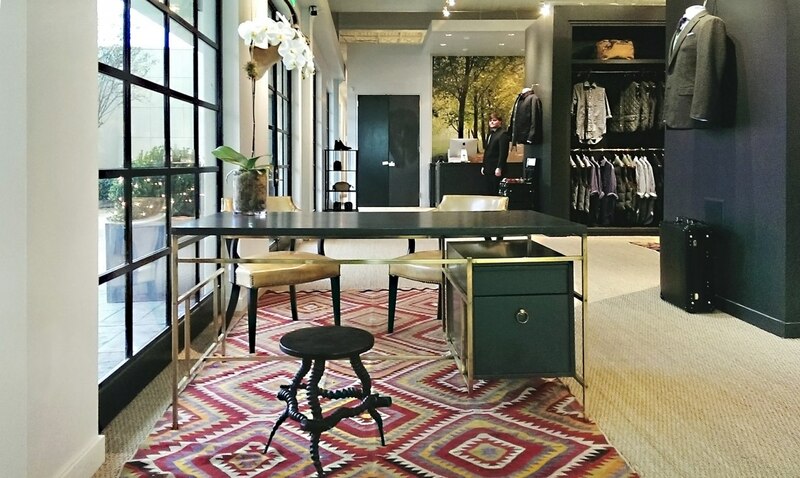 Atlanta, Houston, Dallas, & D.C.
Renovating historic buildings into chic boutique shops Sid and Ann Mashburn bring their mid-century style to major cities across the country. 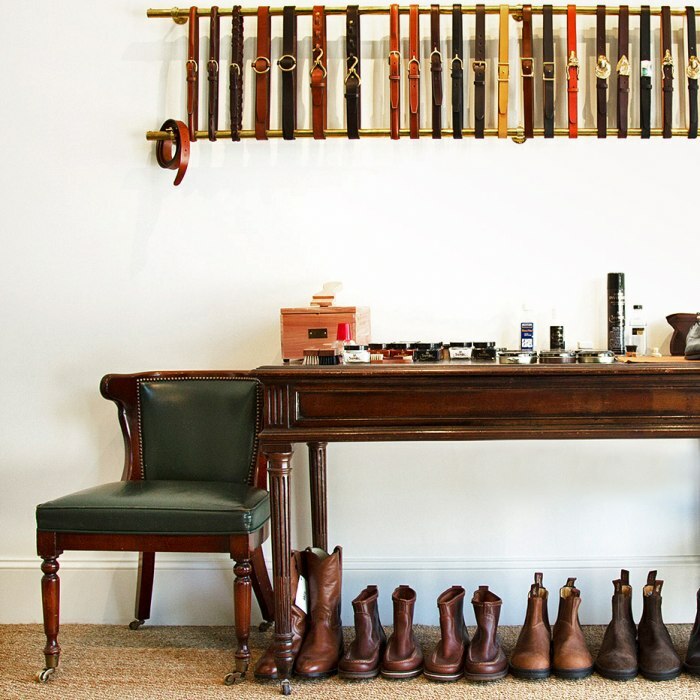 Both men’s and women’s clothing lines share space while maintaining distinct identities. A minimalist approach using expansive glass facades, each shop mimics the period style of the original building. This contemporary approach to the storefront window creates an ordered rhythm while inviting natural light deep into the space. Expression of color and the detailing of millwork imply a subtle shift between the masculine and feminine counterparts. The tailored lines simultaneously evoke a sense of timelessness and modernity that complement the building and the thoughtful restraint represented by the clothier’s craft. 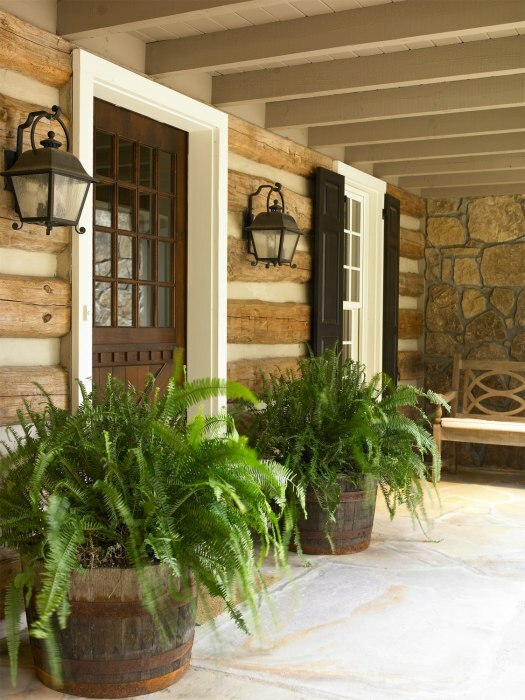 Located in the mountains of western North Carolina, this new home was designed as if the main body of the house was an original log cabin, and perhaps had been added to over the years. The rambling layout of the house works with the contours of the setting and focuses on the distant mountain views. The interior of the house has wonderful large gathering spaces as well as comfortable, intimate rooms making it an ideal getaway for both family and guests. The porches are integral extensions of the house offering delightful spaces to enjoy the view and the cool mountain air. Dramatically sited in the mountains of North Carolina, this home was designed to take every advantage of the property’s panoramic views. 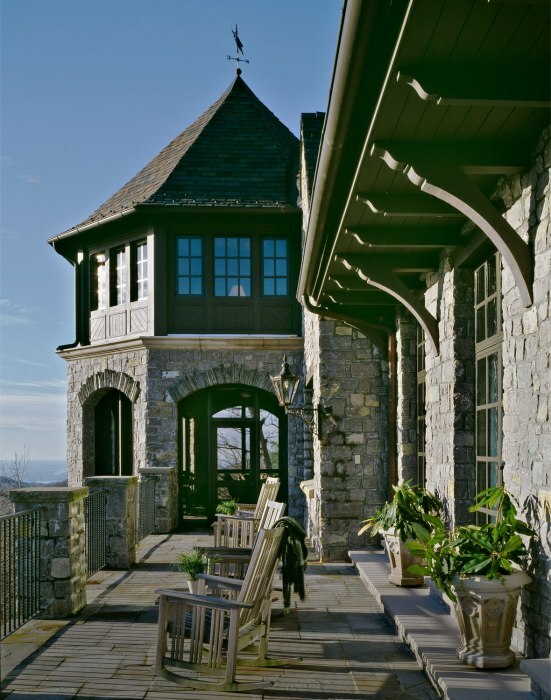 Inspired by English and Scottish precedents, the exterior finishes were carefully chosen for their appeal, ease of care, and ability to age gracefully in the mountain climate. Special attention was given to the selection of interior finishes and detailing to achieve an authentic established appearance. The scale and proportion of the design, while grand in size, is surprisingly intimate. Stan Dixon, AIA, is the president and founder of his Atlanta-based firm, D. Stanley Dixon Architect, Inc. Raised in Sumner County, Tennessee, a region along the Cumberland River notable for its pastoral landscape and historic structures, Stan was inspired from a young age to study architecture. The simplicity of materials and authentic beauty of the houses, which originally compelled him to pursue architecture, continue to inform his design philosophy today. 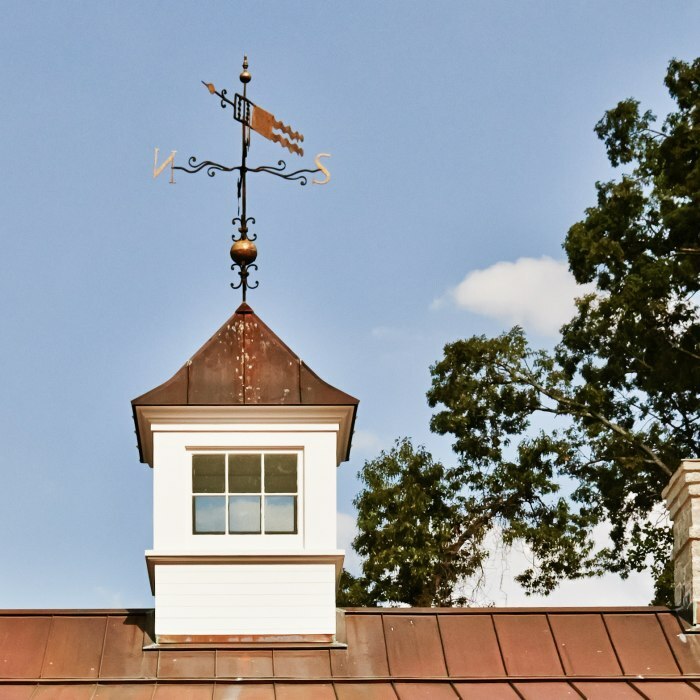 He received his Bachelor of Architecture from the University of Tennessee and he also attended Britain’s renowned Attingham Trust School for the Study of Historic Homes and Collections. After completing his education, Stan moved to Atlanta where he acquired experience in residential and commercial firms. This dual exposure provides a breadth of scope to his architecture and ultimately led him back to his underlying love of houses. Tutelage in residential design with the esteemed firm of Norman Davenport Askins Architect was the next phase of Stan’s career. Stan’s edited approach to the classical elements of architecture creates an understated aesthetic that is historically based while embracing influences of modern design. His goal is to interpret individual needs and desires through contextually sensitive work that engages appropriate style, scale and proportion, giving every building a sense of permanence and delight. The resulting body of work has set an exacting standard. 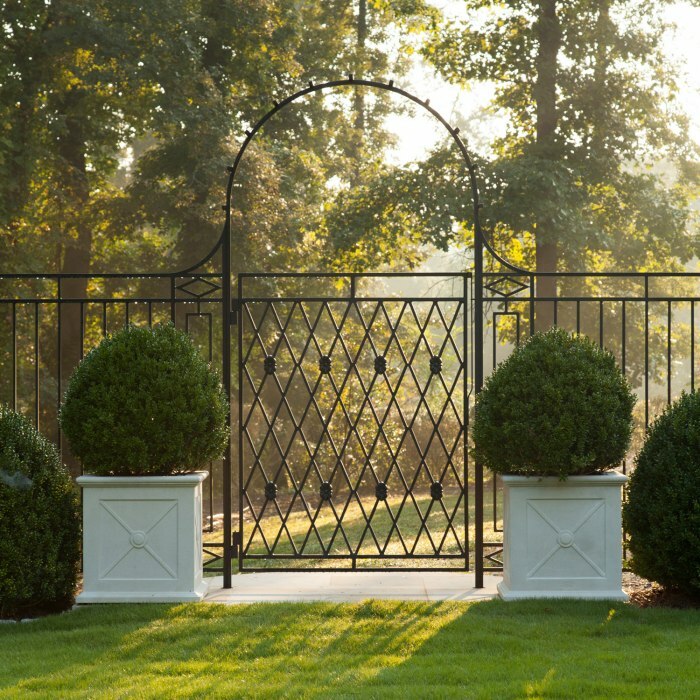 In response to his work, Garden & Gun magazine named Stan one of “The New Faces of Southern Style.” He is a three-time winner of the “Southeast Architect of the Year” award given by Veranda magazine and the Atlanta Decorative Arts Center. 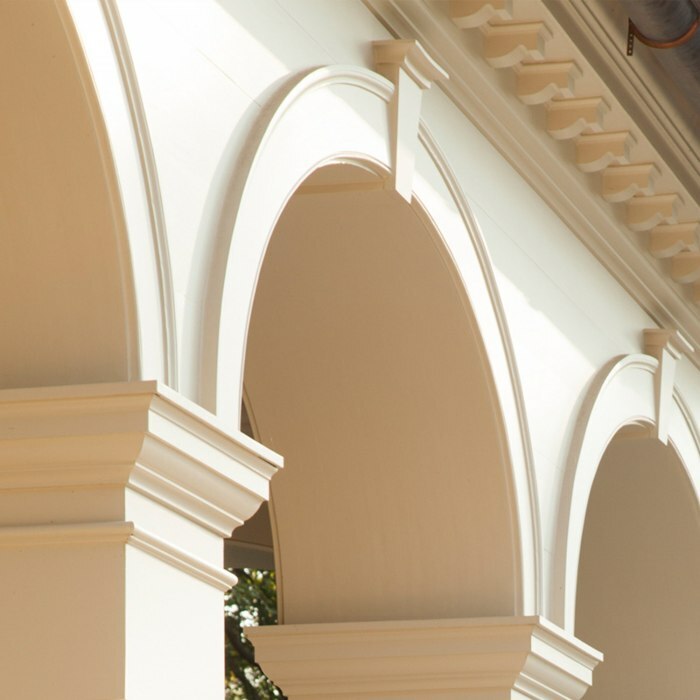 Stan is also an eleven-time winner of the Philip Trammell Shutze Award presented by the Southeast Chapter of the Institute of Classical Architecture & Art. 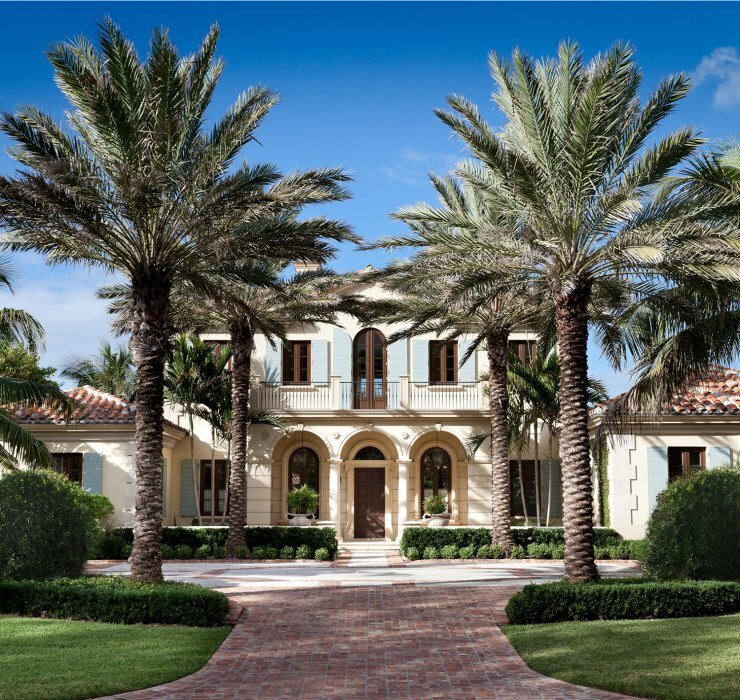 Most recently, Stan was awarded the Addison Mizner Medal for his work in Palm Beach. Stan founded D. Stanley Dixon Architect, Inc. in 2006. His firm’s portfolio includes projects in Georgia, North Carolina, South Carolina, Tennessee, Florida, Alabama, Louisiana, Texas, Indiana, Chicago, Washington, D.C., and New York. Whether our house be large or small, it can be beautiful and a pleasure to ourselves, our friends and to the passerby. While our wants and our pocketbooks determine the size of our house; our own good taste determines its character. Houses such as these will grow better as age adds its softening touch and they will be good houses as long as they endure. Inspiration for an architect comes in many different ways. As time progresses I want to share people, places, and things that have and continue to inspire me. Our library allows us to experience where we have been, dream about the places we would like to visit, and imagine the places we create. David Adler’s work is impressive because of his ability to work in a variety of styles. 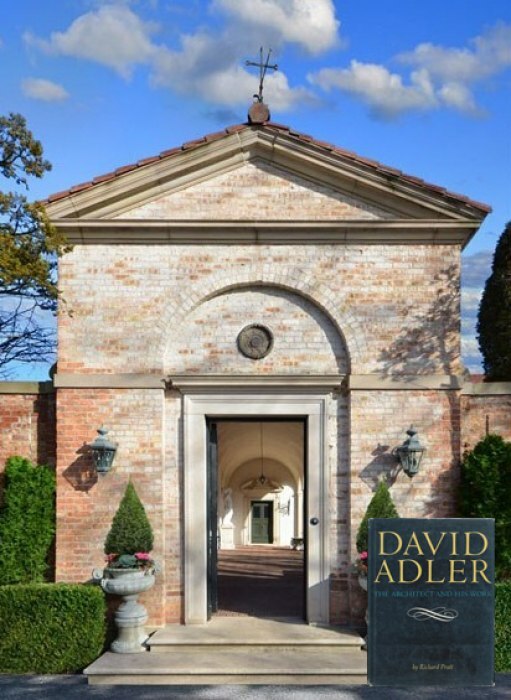 From French to Neo-classical to Greek Revival, Adler’s mastery of traditional architecture is broad and always creative. I admire him for the breadth of his work. 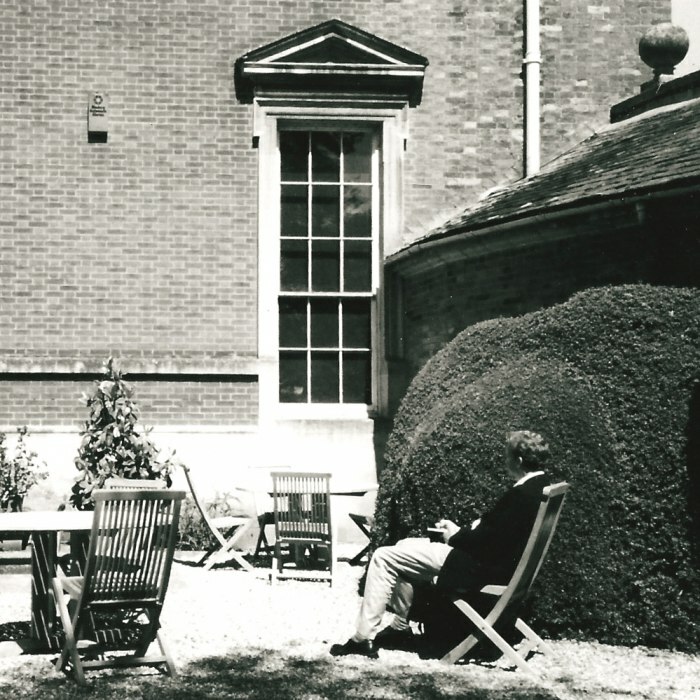 Photo of me sketching in the garden of Kelmarsh Hall during my study at The Attingham Trust in 2001. Landscapes have the ability to support architecture at a wide variety of scales from the pastoral to the private garden and my time in Capability Brown’s landscapes has given me great appreciation for every buildings’ environment. When viewing a building it is the landscape that provides context, setting, and scale. The landscape also creates the views from the rooms in which we create. It is imperative that both the setting and the views relate to the architecture. 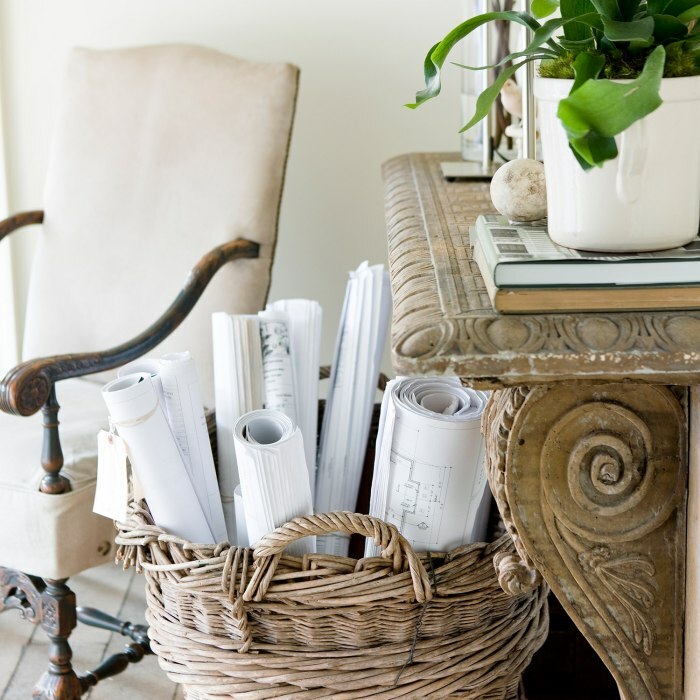 I have always had an interest in the relationship between interiors and architecture. It was my mother’s work as an interior decorator that helped me see its impact on how people live and how it can elevate architecture. 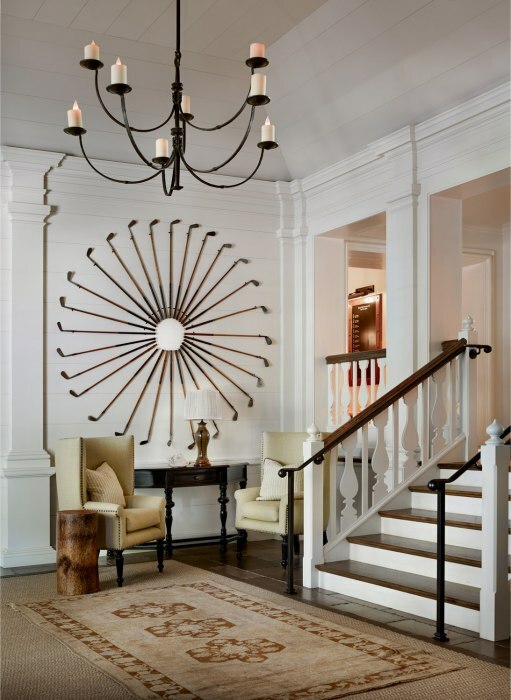 Nancy Lancaster is a classic example and her understanding of architecture paired with her design work has created timeless spaces that are still admired today. Her collections of furniture and design elevate and support the architecture. Lutyens has a deep understanding of the classical elements of architecture. He stands alone in the freedom he has with their interpretation and takes creativity to another level. He always provides a fresh, unprecedented approach to architectural puzzles, yet they are always steeped in the traditions of classical design. Jimmy Means is a local architect who I was introduced to when I first moved to Atlanta. After working on several of his houses, I gained an appreciation for the subtle details, discipline, and authenticity that give his work its timeless quality. 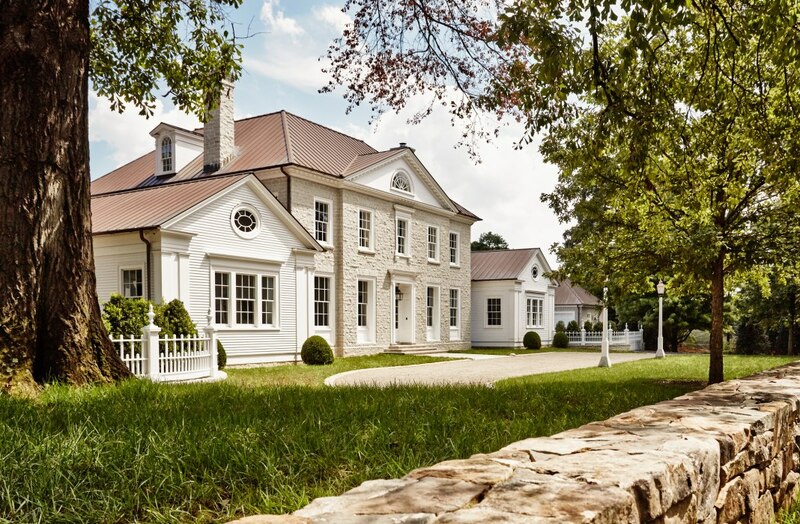 My upbringing in the historic region along the Cumberland River in Sumner County has had a lasting impact on my practice of architecture and how I approach design. It was this landscape that caused me to fall in love with houses and where I began pursuing architecture. From a young age I was surrounded by the historic structures that are spread across Tennessee's rolling pastoral landscape. Their modest beauty has taught me how compelling simplicity can be and how authentic materials used in a way that bears their necessity creates timeless buildings. I still draw on the lessons that I have been taught by this place and continue to be inspired when I return home. One of the grandest houses of the region was home to Miss Ellen Wemyss. She was a descendant of the original landowner and lived at the plantation until the age of 105. As a young boy I remember my mother raising money to restore this house that was once home to Daniel Smith, George Washington's secretary for the Southwest Territory. talented architects to join our team.